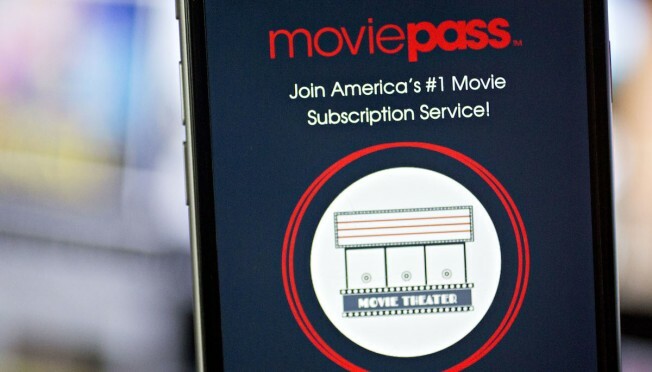 It's another stumble for MoviePass, which in recent months has repeatedly adjusted its movie subscription plans and taken out hefty loans to cover massive losses. The MoviePass application is displayed on an Apple Inc. iPhone in an arranged photograph taken in Washington, D.C., U.S., on Friday, Aug. 17, 2018. New York Attorney General Barbara Underwood has opened a probe into MoviePass parent company Helios and Matheson, a person familiar with the matter told CNBC. The attorney general's office is investigating whether the company misled the investment community regarding the company's financials, said the person. The investigation is in the early stages. The attorney general is using the Martin Act, a statute designed to protect New York investors and the integrity of the financial markets from fraud. In August, Helios and Matheson reported a loss of $100 million in the second quarter, putting the company on pace to blow through its remaining assets in the span of months. The company skyrocketed to popularity with an initial subscription that allowed moviegoers to see a film a day for $9.95 per month. But the popularity hurt profits, and MoviePass quickly adjusted the plan to limit the available movies, raise monthly prices and restrict the number of films users could see per month. Meanwhile, Helios and Matheson's stock lost practically all of its value. Based on the company's most recently reported share count of 1.5 billion shares outstanding, the company trades at an implied valuation of $30 million. Shares of Helios and Matheson fell 3 percent in extended trading Wednesday, though the stock trades for just 2 cents per share. A spokesperson for Helios and Matheson declined to comment.